The Minister of Finance, Dr Ngozi Okonjo-Iweala, has promised that the Abuja Light Rail Project would be completed in the third quarter of next year. The minister, who made the promise during an inspection tour of the rail project, said the $500 million borrowed from China to execute the project in 2012, is been judiciously appropriated. The minister questioned the progress made so far as she made her way to the rail car used for test running, from Ringroad to the Idu main station. Officials promised Nigerians a luxurious mode of transportation when the main train is assembled and in operation. Nigeria had in 2012 signed an agreement with the China Exim Bank for a $600 million facility to finance the Abuja Light Rail project and the Galaxy Backbone information and communication technology (ICT) infrastructure. The loan agreement was signed in Beijing, the Chinese capital, on behalf of Nigeria by the Coordinating Minister for the Economy and Minister of Finance, Dr. Ngozi Okonjo-Iweala, and the Managing Director of China Exim Bank, Mr. Sun Ping. In 2015, Abuja in Nigeria will see the opening of a light railway. Now that the age of the train has arrived, what impact will it have on the country’s development? The age of the train has arrived in Nigeria. 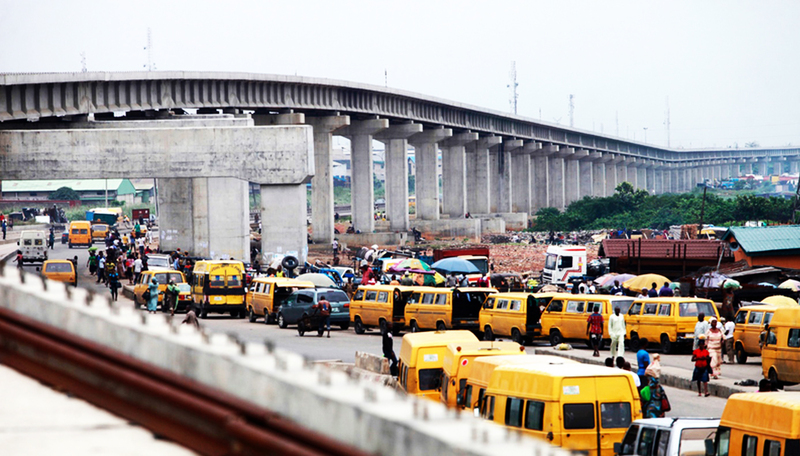 In Lagos, formerly the world’s only mega-city without an urban rail system, work has started on the first of two lines which will cost $3.8bn and eventually connect the four corners of the city. 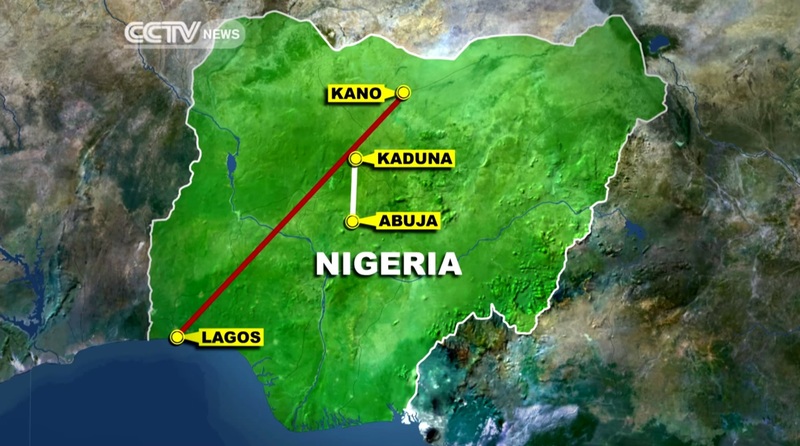 In Abuja, 2015 will see the opening of a light railway which will connect the airport and satellite towns with the nation’s capital. In April, Nigeria celebrated the revival of the Lagos to Kano long-distance rail link, the first operational rail route in the country since the late 1980s, and a vital method of easing congestion and boosting trade along the key artery between the two largest cities in the nation. At 1,126km (699.7 miles), the route provides a regular and safe method of transferring people and goods, as well as acting as a symbolic tie between the southern and northern halves of the country. 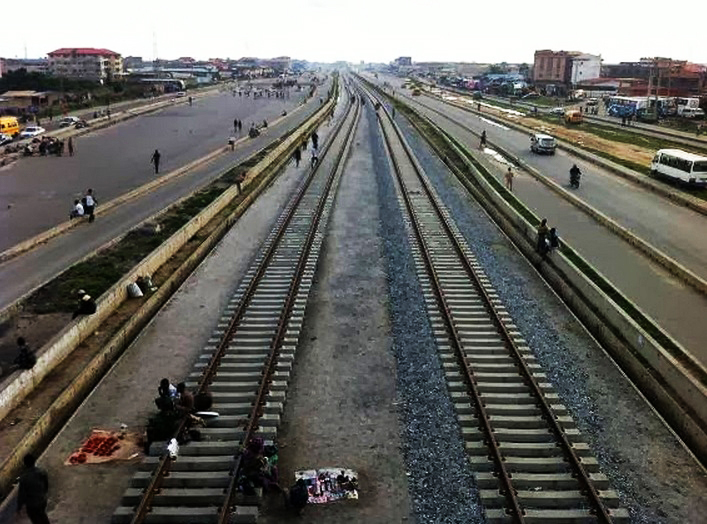 With work now underway to rehabilitate stretches of the disused railway line between Port Harcourt and Maiduguri in the North, as well as ambitious plans to eventually provide a link to neighboring nations of Niger and Cameroon, it is apparent that long-distance rail is an important part of national transport thinking over the coming decade. Less celebrated, but equally transformational, is the work currently underway on the two urban railways in Lagos and Abuja. Both of these projects showcase what is possible given ambitious political leadership, high quality technical support, and application of global best practice. This is evident in Abuja, where visitors will have noticed the hard infrastructure foundations necessary for bridges and stations being assembled as they complete the 30 minute drive into the city centre. Originally mooted in 2006, Abuja’s light railway aims to provide an affordable way for the city’s workers to commute from the satellite towns surrounding it. As a result of the rapid growth of Abuja, now thought to be home to over 3,000,000 people in the wider metropolitan area, the central stock of housing is neither sufficient for the workforce, nor affordable, forcing many to endure long commutes using a combination of the city’s new bus service, and informal transport from bus terminals. The first minister of the FCT, senator Bala Mohammed, has estimated that 700,000 commuters will eventually use the new light railway each day. The first stage of the project consists in lots 1A and 3. These amount to 45kms (27.9 miles) of double-track rail lines which will connect the centre of Abuja with the international airport, and run from the satellite town Idu to Gbazango. The lots will be the first of an eventual six, bringing safe and affordable transport to commuters who travel to work in the capital. The project is a good example of how British technical assistance can complement Nigeria’s drive for change. Adam Smith International’s DfID funded Nigeria Infrastructure Advisory Facility (NIAF) has played a key role in advising the Federal Capital Transportation Secretariat as it manages its contract with the China Civil Engineering Construction Corporation (CCECC) which is responsible for the construction of the track, stations, signalling equipment, depot and training facility. In conjunction with CCECC and the FCT, NIAF is helping deliver advice which will result in infrastructure built to international standards, complete with the training and capacity building which will ensure that it endures for decades to come. With greater accessibility, and shorter journey times, the result will be a safer, economically dynamic and more equitable Abuja. 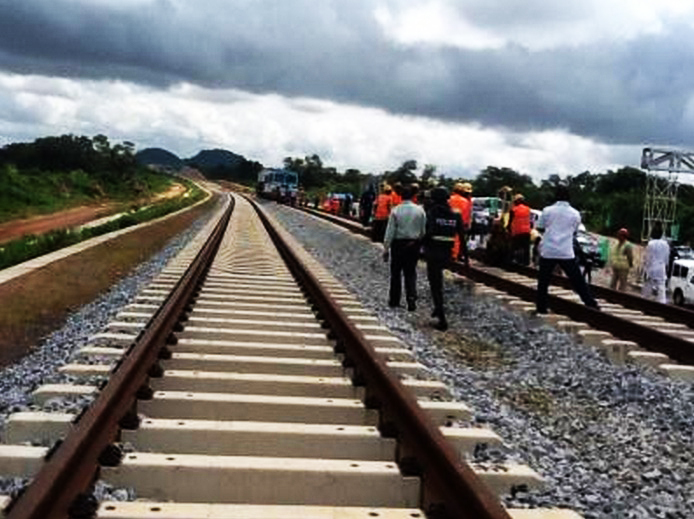 A Chinese funded standard gauge railway construction project that connects the Nigerian federal capital Abuja with the country’s central commercial hub Kaduna, is nearing completion and is expected to reduce road congestion and the time it takes to travel between the two points. 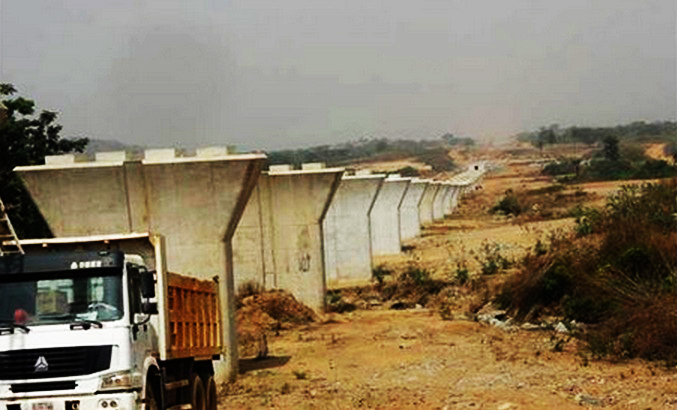 The Abuja Kaduna line, scheduled to be completed by December 2014. 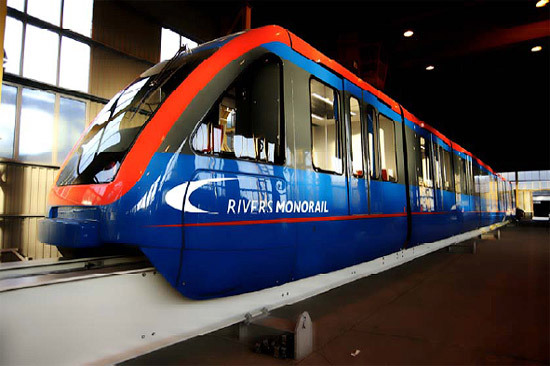 PORT HARCOURT, RIVERS STATE- The original intention of government for the construction of the monorail was “to address the growing traffic problems encountered in the city of Port Harcourt”. The 21-kilometer (13 mile) monorail was to go through Kaduna Road down to Olu Obasanjo Way to Waterlines and then return to Garrison Bus Stop. While that is completed, another phase would have commenced up to the Air Force base to complete the circle. It was discovered that the cost of the monorail, as planned by government, could go as much as N150 billion (US $917.21 million), an indication that lack of funds would definitely stall the pursuit of the project to its logical completion. To save cost, the government decided to prune the length of the project to 6.5 kilometers (4.0 miles). At the moment, 2.6 kilometers (1.6 miles) is being embarked upon from the UTC Junction to the Lagos Bus Stop deep in the city of Port Harcourt, the state capital. The Rivers State government had committed N11 billion (US $67.26 million) into the project to show its readiness or willingness to get it done. In February 2013, the commissioner told the visiting team of the National Good Governance Tour, (NGGT), led by the Minister of Information, Labaran Maku, that for the project to have reached the level it is now with the construction of the mega stations, it has gulped N19 billion (US $116.18 million) already. Besides the controversy generated by the actual cost of the project, another point of great concern is the consistent shifting of goal post on the completion date of the project. Governor Amaechi, in 2013, told Labaran Maku (Minister of Information) that the phase 1a and 1b of its 6.5 kilometres (4.0 miles) mass transit monorail system in Port Harcourt would be completed by September of 2013. Amaechi assured that the state’s N150 billion (US $917.21 million) monorail project will be completed before he vacates office in 2015. Governor Amaechi disclosed that the phase A will be completed before January 2014, while Phase B which will runs from the city centre and terminates at Water Lines would be completed in 2015. As it stands now, people are already wondering when they will witness the completion of the project just to admire the beauty of it and not necessarily for the economic advantage, if it has any. The controversy surrounding the completion of the project has further justified the fears of people of the state who are now want it stopped due to cost incentive and “the manner the whole exercise is shrouded in secrecy”. Also, the Secretary General, Watch-Dog of Niger Delta (WND), a Niger Delta group, Sam Epiye, corroborated the position of Bipi when he said that the “monorail is obviously of no economic value to the people of the state. Continuing, the youth leader explained that “the Rivers’ monorail project has no economic value to the state, the multibillion Naira expended can be used to open up more roads and construct bridges that would ease the cost and means of transportation in the state. In his response, George Tolofari (Commissioner for Transport) said “I don’t blame anybody for what they say about the monorail project. If I were not in government, maybe I would probably be talking the same way people are talking. But now that I am an insider and understand the situation better, it is my place to keep educating and explaining to them the added value the monorail project will bring to Rivers people. “The monorail is designed to take a large number of people from point A to point B at a time. Port Harcourt is a big metropolitan city and one of the things you expect to see is the different modes of transportation,” said Tolofari.